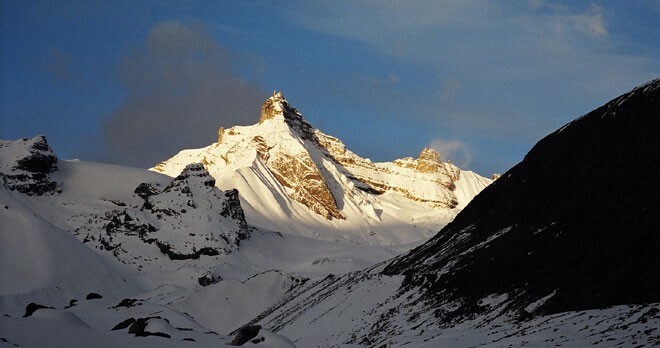 The Annapurna Circuit Trek is one of the world’s greatest treks. The trail takes you into the heart of the Himalayan Mountains and winds between the hundreds of icy peaks of the Annapurna Massif. The treks is also a fantastic cultural experience as it visits villages with Nepali and Tibetan influences and even takes you to Muktinath, one of the most spiritually revered places for followers of both the Hindu and Buddhist religions. You get to trek through green rice terraces, arid high mountain pastures and cross challenging high mountain passes. Trekking in Nepal does not get much better than the Annapurna Circuit. The trek delivers spectacular scenery, diverse cultures, forests, lakes, glaciers and high mountain passes. 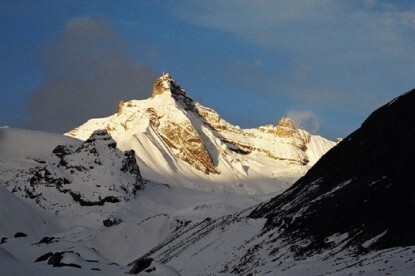 The Annapurna circuit has all the accommodation infrastructure required for one of the world’s greatest walking trails. There are plenty of quality accommodation options and teahouses to choose from and so you can trek in relative style and comfort. The trek terminates at Jomsom where a daily flight service will whisk you over the southern reaches of the Annapurna Sanctuary and deliver you back to Pokhara. 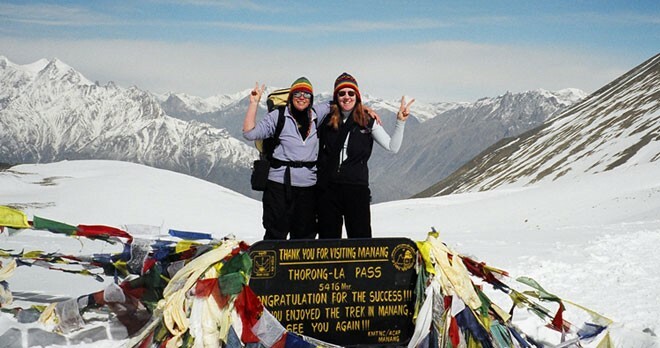 This is by far the best and most popular itinerary for trekking the famous Annapurna Circuit. – Panoramic mountain views, forests of oak, maple, rhododendron, Tibetan settlements, glaciers, lakes, hot rings, apple orchards. – Trekking through the Marsyangdi River Valley in the shadow of countless Annapurna Massif peaks. – Crossing the 5,416m altitude Thorong La Pass. 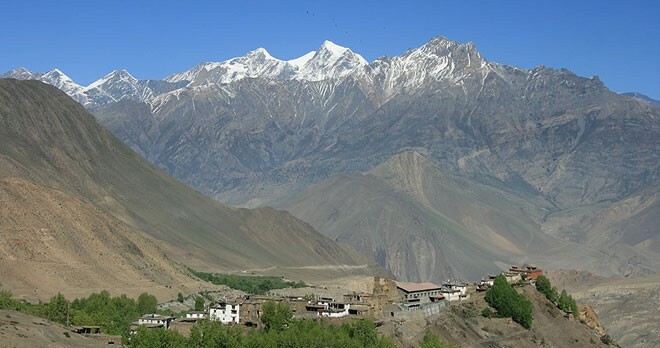 – Visit Muktinath, home to the holy Vishnu temple sacred to Hindu and Buddhist followers. 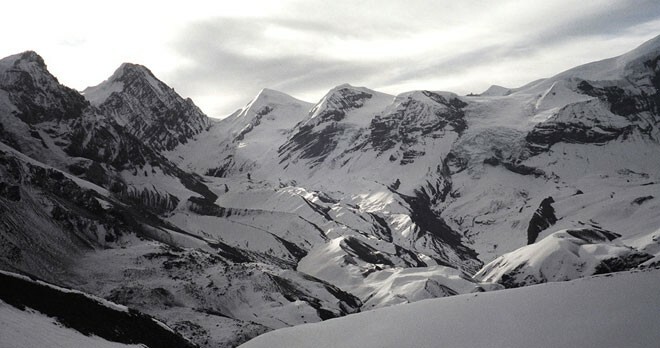 – The spectacular return flight from Jomsom to Pokhara – stunning Annapurna Sanctuary and countless snow-clad peaks. Today we “turn the corner” and follow the valley as it turns toward the west. The trail becomes more challenging as we cross some steep and forested ridges and negotiate sites of old and more recent landslides that cut across the trail. The mountain scenery around us becomes more spectacular as we head higher up the valley. High above us on both sides are towering bare-rock mountains rimmed to icy summits. Now we get to see wonderful mountains such as the Lamjung Himal, Annapurna II and Annapurna IV (7,525m). This is also an active geo-thermal region and we can end the day with some relaxation time in the healing waters of one of the springs. This is my first and longest trekking trip of 17 days around the Annapurna circuit. 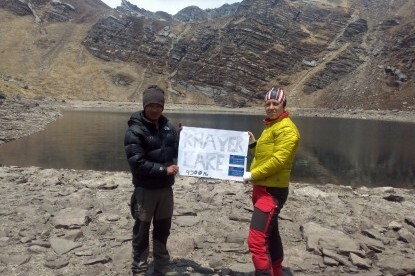 Coming from Singapore, high altitude (the highest point in the trek hits 5416m on Thorong La Pass) is not for me but my guide, Pasang, makes sure I was well taken care of during the entire time, including my safety. 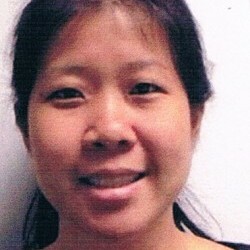 Even before the trip, Pamfa was responsive and helpful on emails and customised my itinerary according to my special requests. 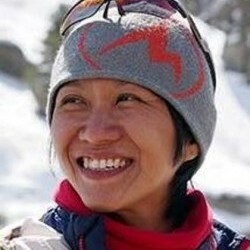 I had a very memorable trip, and felt very assured in engaging Langtang Ri (especially my guide, Pasang). I would highly recommend it to anyone from first timers to experienced trekkers! Well organised and happy to have followed the tour.The guide and porters are very happy.